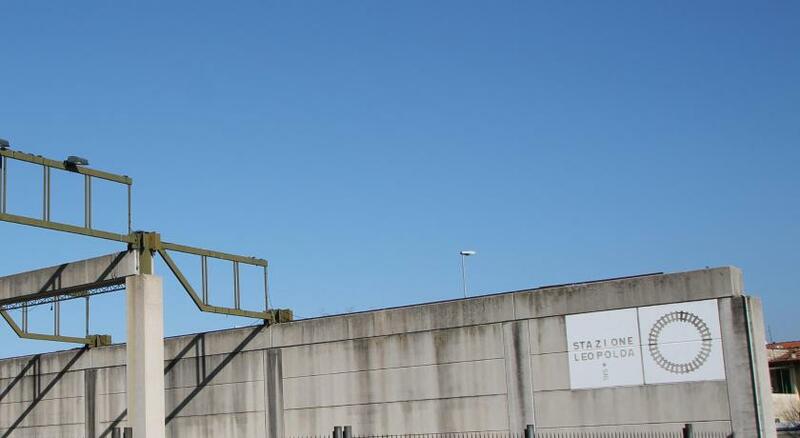 Lock in a great price for Hotel Lungarno Vespucci 50 – rated 9.1 by recent guests! I really enjoyed the service at the hotel. the staff speaks excellent English. All wishes are taken into account. It is possible to rent a bike. It was a great breakfast. The breakfast room was gorgeous. 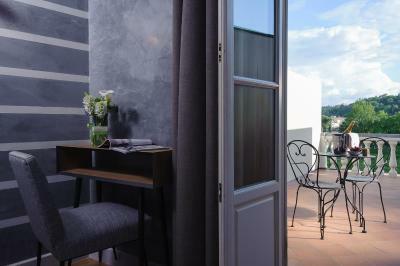 Our room was beautiful and the balcony overlooking the Arno was like a dream. The staff were incredibly helpful and friendly as well. 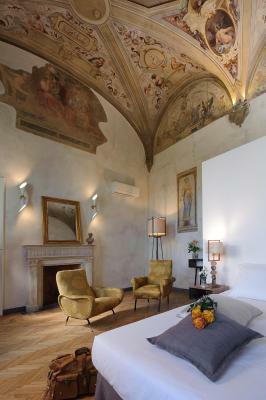 Beautiful room, private balcony with view on the Arno. Walking distance from all main attractions. 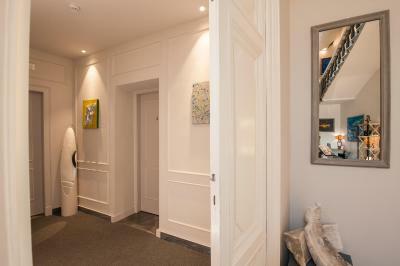 Fantastic boutique hotel with fine decoration. Attention to all details in every aspect. Everything very well placed.Bathroom is spacious. 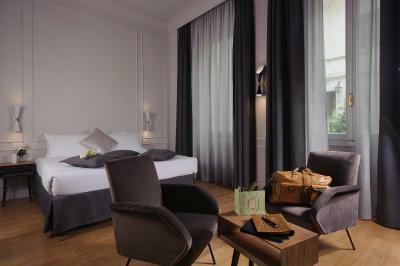 Oversized room; attentive staff and daily breakfast! The staff were really nice and they helped us with everything . The place is beautiful! My room was very spacious, with a living room and a huge bathroom. Bed was very comfortable and the room was nice and warm (during some unusual very cold days). Location is pretty good. I like the location that facing arno river, cute breakfast place. The room was amazing and clean, and the staff working there were super friendly. 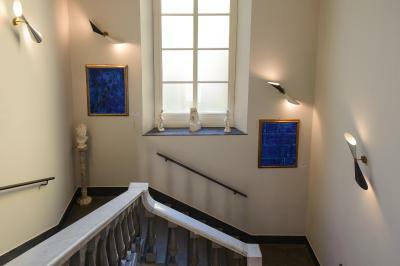 Attentive staff and beautiful room with terrace. Beautiful view of the river. Very comfortable bed. 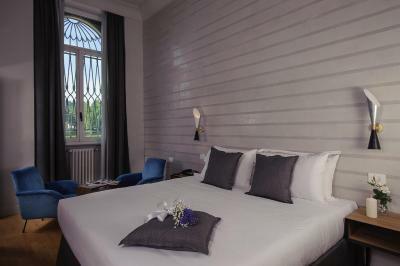 Hotel Lungarno Vespucci 50 This rating is a reflection of how the property compares to the industry standard when it comes to price, facilities and services available. It's based on a self-evaluation by the property. Use this rating to help choose your stay! 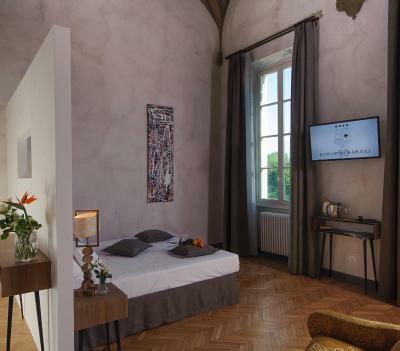 One of our top picks in Florence.Just 2,300 feet from the main railway station, Lungarno Vespucci 50 features old-world charm, friendly staff and a roof garden overlooking the Arno River in Florence. 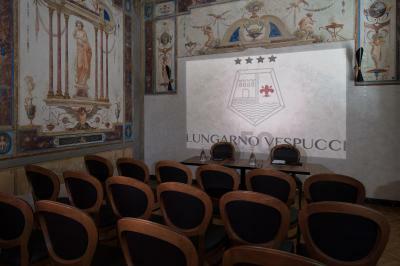 The Vespucci 50 is located in the historical center, far from the crowded tourist areas. 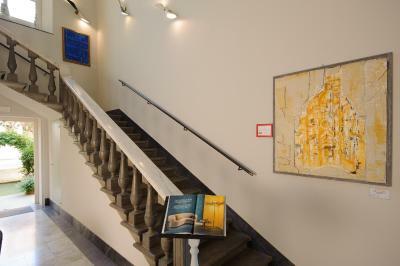 You will be facing the river, near Le Cascine park, the American Consulate and the Teatro Comunale. Take advantage of the private indoor car park. You will find a 24-hour front desk, room service and express check-in and check-out. 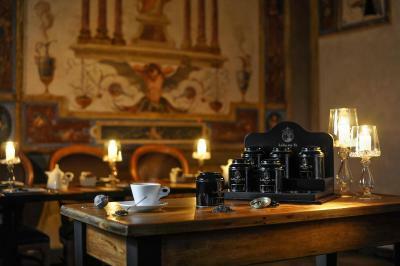 Guests can enjoy an aperitif served daily at the bar with frescoed ceilings from 18:00 until 20:00. 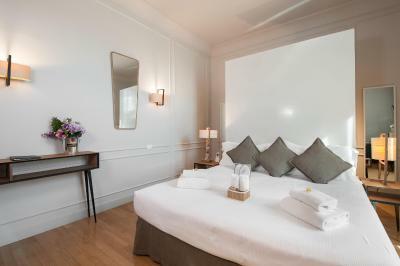 Stay in spacious refurbished rooms with modern bathrooms. 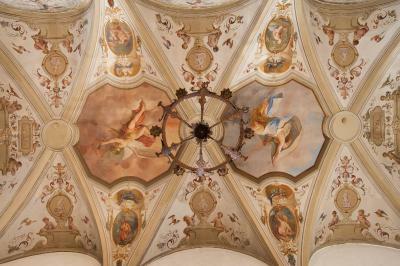 Enjoy the high ceilings, some with historic frescoes. Most rooms overlook the river. 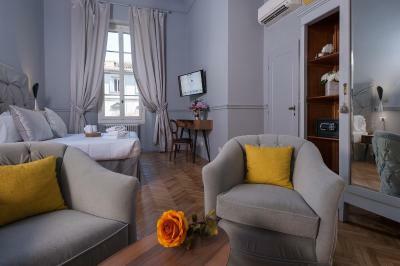 When would you like to stay at Hotel Lungarno Vespucci 50? 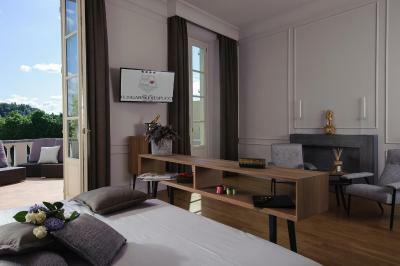 This double room features a satellite TV, seating area and mini-bar. This suite has a seating area, electric kettle and mini-bar. This suite has a electric kettle, fireplace and seating area. This suite features air conditioning, soundproofing and seating area. This twin/double room has a mini-bar, soundproofing and flat-screen TV. 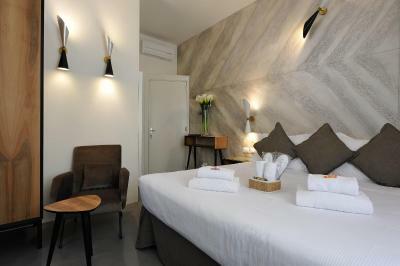 This double room features a satellite TV, air conditioning and electric kettle. 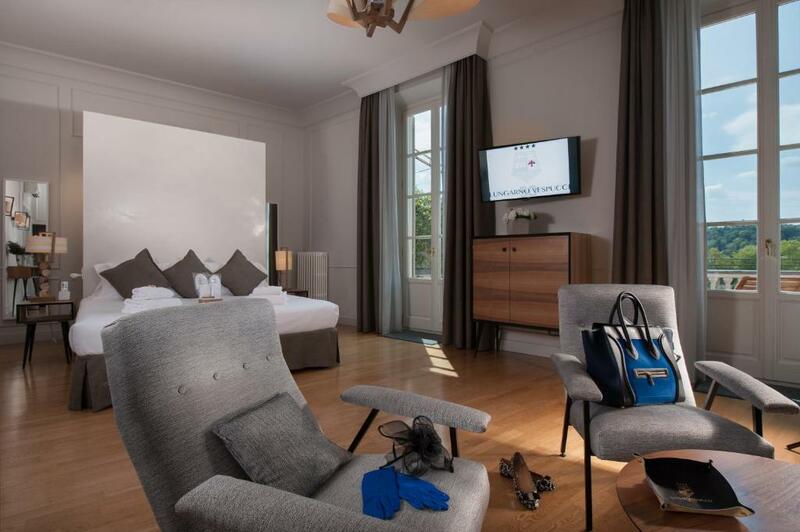 This hotel has been totally restored with passion and professionalism in order to join the story of a Palace of the end XIIX century (1785) with the modernity and comfort of the most ambitious 4 star hotel of international scope . 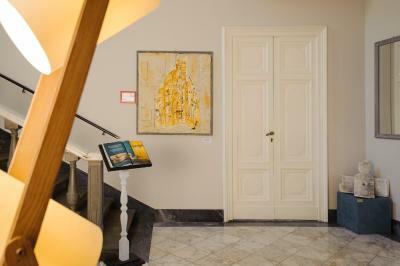 House Rules Hotel Lungarno Vespucci 50 takes special requests – add in the next step! 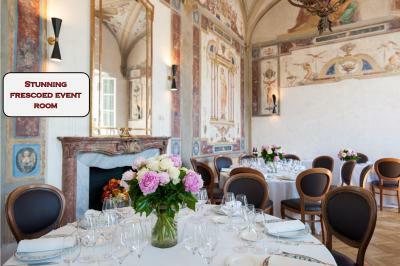 Hotel Lungarno Vespucci 50 accepts these cards and reserves the right to temporarily hold an amount prior to arrival. I didn't like the fact, that the parking is designed for 7 cars, and it is paid. 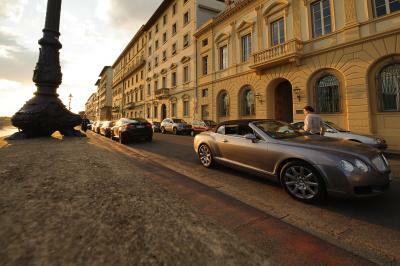 25 euros per night is quite a high price, but the car will be safe. Overpriced and there was some noise from the other room. The staff were nice and helpful. Location very quiet and peaceful nice view too. The people at the recption, always attentive and in good attitude. 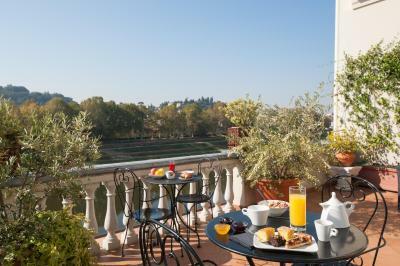 nice breakfast, 2nd floor terrace is pleasent with great view. Breakfast could be better with better selection and choice of eggs. The foyer music was a little loud in our first floor room. And I wish I had booked a terrace room but there is only 2! 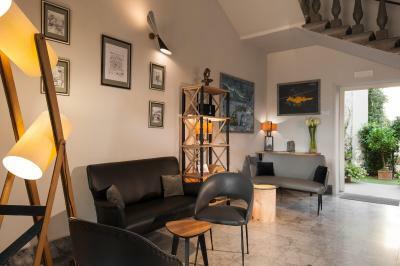 The hotel was boutique and retro furniture in a historic building. Even Tchaikovsky had stayed there! The breakfast room was in a lovely painted room w river views. Not as described, not sure where the pictures were taken, definitely not in our room. Breakfast below expectation, small room, bathroom not comfortable, showerhead from celing. No wellness on premises. About 30min nice walk downtown, quiet area. The service and the disposition of the people working at the hotel was amazing. Another minimalist “hotel” that was lacking in the energy you get from a full hotel experience, although the receptionist was very helpful; breakfast was a bit perfunctory. Also beware the private security staff “protecting” the American Consulate next door - they are morons and act like it.